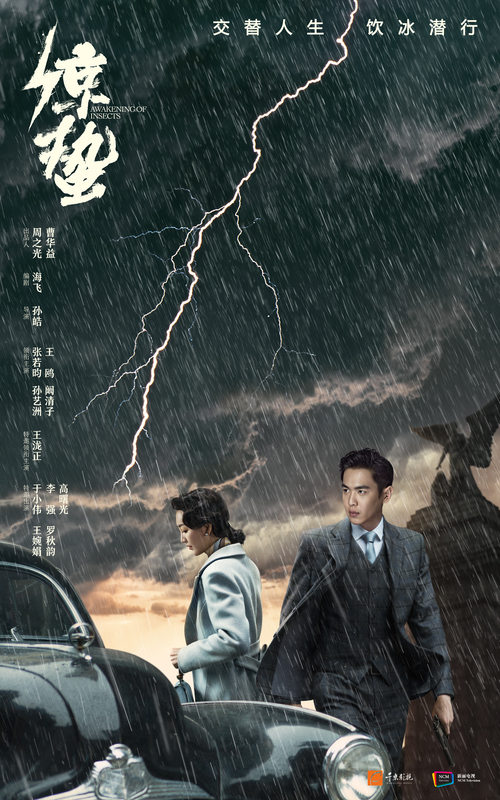 Awakening of Insects 麻雀2之惊蛰 comes from the author-writer of 2016 spy drama Sparrow, and stars Zhang Ruoyun as Chen Shan, a police informer who is forced by the Japanese to infiltrate the Kuomintang as Xiao Zhengguo, whom he bears a close resemblance to. Wang Ou plays the righteous Communist agent and Chen Shan’s love interest Zhang Li. Romance drama If Paris [is] Downcast 如若巴黎不快乐 (also known as If You Are Unhappy in Paris, Paris is Not in a Good Mood) stars Zhang Han as a successful CEO of a corporate firm, and Kan Qingzi as a lawyer who serves jail time for making misrepresentations to the court on behalf of her client and ex-boyfriend. The 48 episode drama airs 2 episodes every Sunday to Monday on Mango TV beginning tonight, while VIP members get a 6 episode head start. Overseas viewers get the VIP treatment for free on Youtube. 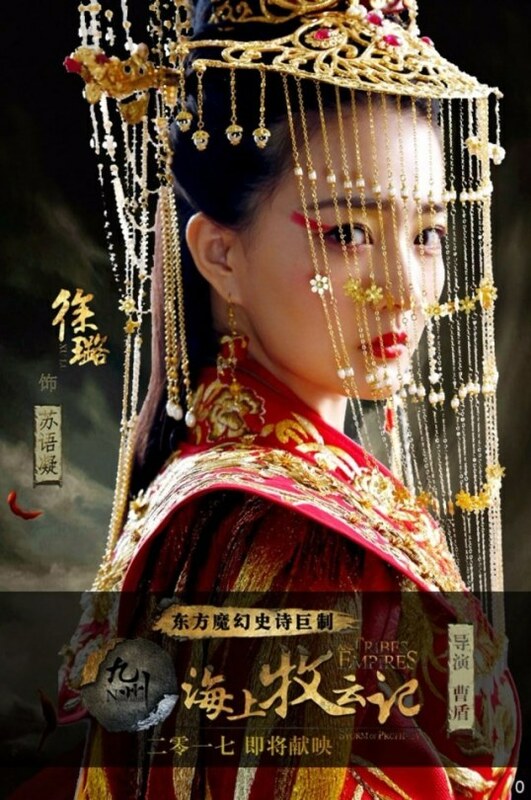 Tribes and Empires: Storm of Prophecy 九州·海上牧云记 has released more stills. Starring Huang Xuan, Shawn Dou, Zhou Yiwei and Wang Qianyuan, I am going to be pretty disappointed if this does not get a release date in the near future. 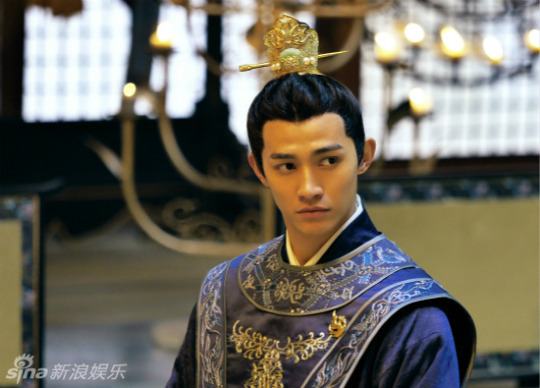 Tribes and Empires: Storm of Prophecy 九州·海上牧云记 has released more unseen images of Li Kaixin as the teenage counterpart to Xu Lu’s Su Yuning. Starring Huang Xuan, Shawn Dou, Zhou Yiwei and Wang Qianyuan, I guess this shows how this dramas has kept enough material coming out to keep us interested but not enough that we feel like we’ve already seen everything. Some productions should start taking notes. It’s always a good day when they come out with stills for this one. Tribes and Empires: Storm of Prophecy 九州·海上牧云记 has released more images and videos about production. 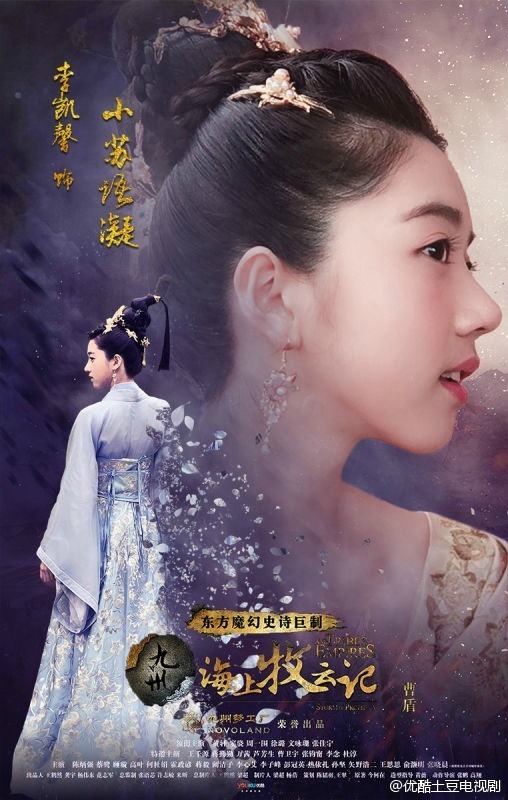 Starring Huang Xuan, Shawn Dou, Zhou Yiwei , and Wang Qianyuan, it’s nice they paid that much attention to etiquette and other details in order to bring about the feel of the drama despite it being largely set in a fantasy world. Tribes and Empires: Storm of Prophecy 九州·海上牧云记 has released more images. Starring Huang Xuan, Shawn Dou, Zhou Yiwei , and Wang Qianyuan, gosh I’m impatient for this to come out. At least there’s a video about the making of this drama out already. 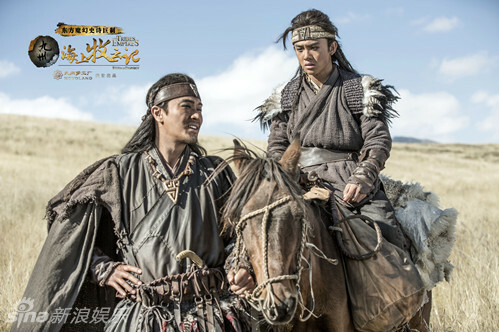 Tribes and Empires: Storm of Prophecy 九州·海上牧云记 has released more stills. 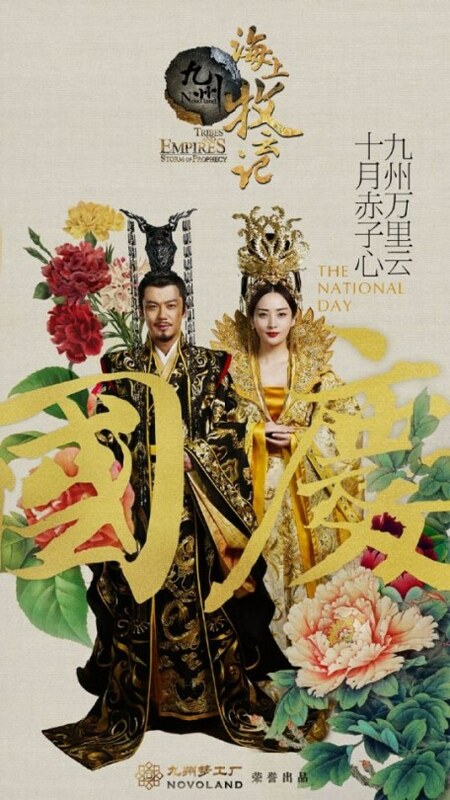 Starring Huang Xuan, Shawn Dou, Zhou Yiwei , and Wang Qianyuan, I am not a big fan of the color schemes and have some grips with the lack of other colors but it’s a nice different approach. but way too cute to not be. Couple Ji Lingcheng and Kan Qingzi filmed an adorable MV for Elle earlier this year. He’s too good-looking to be just a model, and she’s finally left her old company and is taking on lead roles.